Even if watching horses race isn’t your favorite thing, you can still have fun celebrating the Kentucky Derby this year on May 2nd. Horse racing is obviously the main event, but the fashion is the next best part. Women don pretty dresses and big hats and the men wear blazers (maybe a seersucker suit) and pastel ties or bow ties. While most of us probably won’t be making it to the actual race, who doesn’t love an excuse to dress up? For the ladies, a hat is a must. 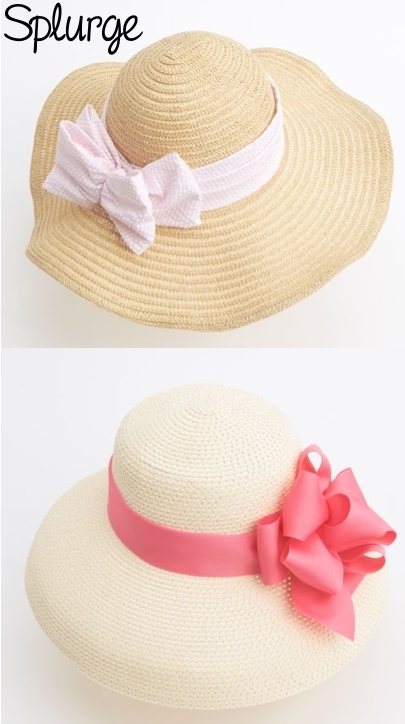 If you don’t want to spend any money and already own a floppy beach hat, add a pretty silk scarf or some pastel fabric around the top and tie if off with a bow in the back. 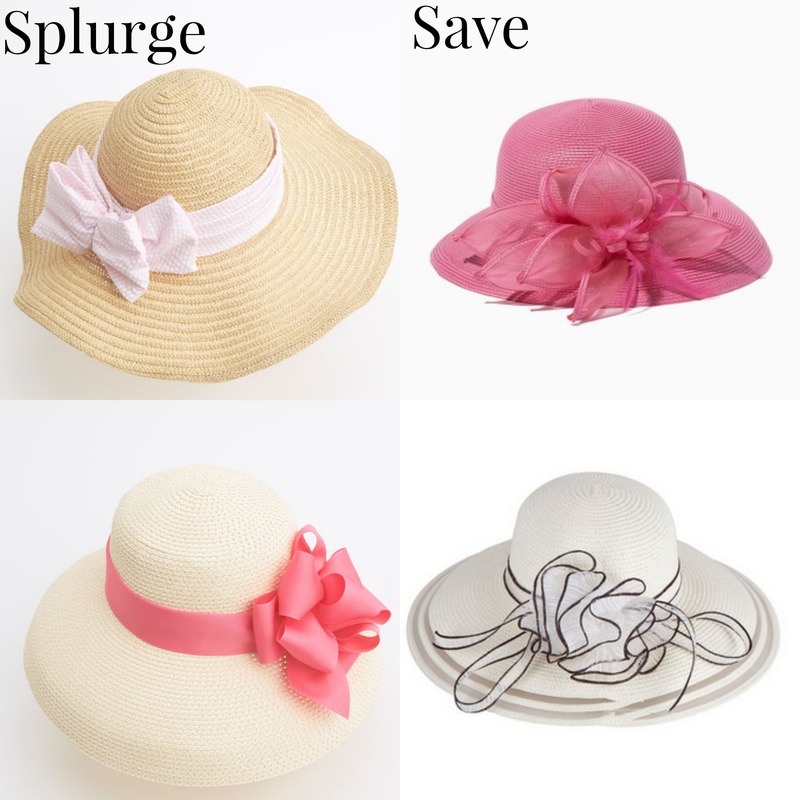 However, if you’re someone who plans on dressing up for the Kentucky Derby every year or are even going to the actual race, investing in a good hat may be your best bet. Here, I have your some “Splurge or Save” options for you. If you’re looking for a hat that will work for the Kentucky Derby but can also be used for a sunny day, I love this Ralph Lauren one. At $48 it’s definitely more of an investment item so if you don’t want to spend a ton but still get more use out of your hat, this one from Target is the way to go for only $14.99.